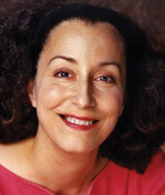 Martha Farah has been a leader in the field of cognitive neuroscience almost from the moment when she published her first papers as a graduate student. She is credited with two decades of elegant and influential patient-based cognitive science, for the earliest call for a connectionist cognitive neuropsychology along with a diverse array of examples of this approach, and for the unerring pursuit of creative new approaches to and applications of cognitive neuroscience. Her studies on the topics of mental imagery, face recognition, semantic memory, reading, attention, and executive functioning have become classics in the field. In her classic book Visual Agnosia: Disorders of Object Recognition and What They Tell Us about Normal Vision, Farah identified key questions about high-level vision that set the agenda for that field over the next twenty years. The second edition of Visual Agnosia, published a few years ago, confirms how fruitful it was to ask these questions, and includes Farah’s own considerable contributions toward answering them. Farah also recognized the potential of connectionist modeling in neuropsychology and argued persuasively for it. The diversity of problems Farah has tackled with computational modeling is probably unrivalled, and in each case, the result was a new explanation of an important finding. More recently, Farah has introduced a cognitive neuroscientific approach to the study of the achievement gap associated with socioeconomic disparities. Farah also has assumed a leadership role in the emerging field of “neuroethics.” Once again, Farah has laid the foundations for these two areas by creating a research agenda that should be influential for decades to come.